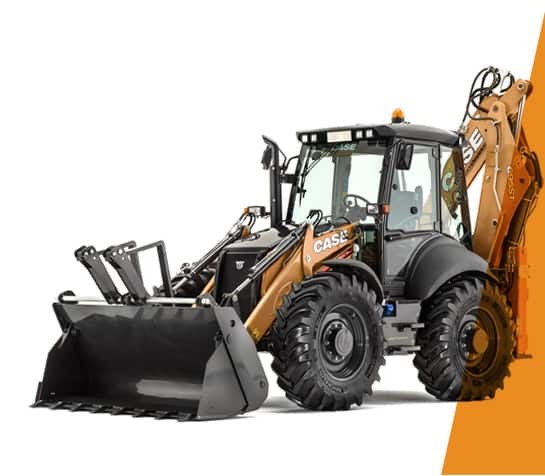 CASE has enriched the offering introducing a new backhoe design with “In-Line” cylinder geometry and inner extendahoe. The aligned cylinders ensure perfect visibility across the boom and reduce the structure bending distributing the stresses. This is the typical solution adopted on large excavators where productivity and reliability are a must. The new technology will flank the well known and more backhoe oriented CASE DNA boom with overlapping cylinders and outer extendahoe. Pilot control columns and wrist rests are fully adjustable to suit your size. Excellent visibility equals greater safety: the rear screen is fully tiltable to provide an unobstructed view of the digging area. The stowed rear screen also provides rain protection in the open position. Lumbar adjustment and fully adjustable armrests ensure a comfortable position throughout the working day. All four cab windows can be opened partially or fully, to provide maximum ventilation in the cab. A new overhead radio position and document storage box, combined with a lockable storage compartment make the CASE cab your comfortable office. Wide steps and sturdy grab handles make it easy to get in and out of the cab. Large door apertures without obstacles make access to the seat equally easy. For night working the CASE backhoe loader comes with 10 working lights, including two on each side, for maximum visibility.